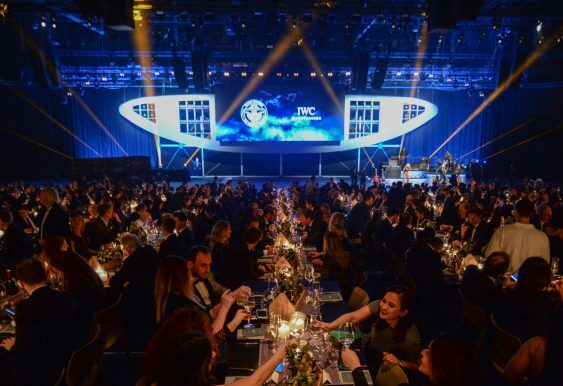 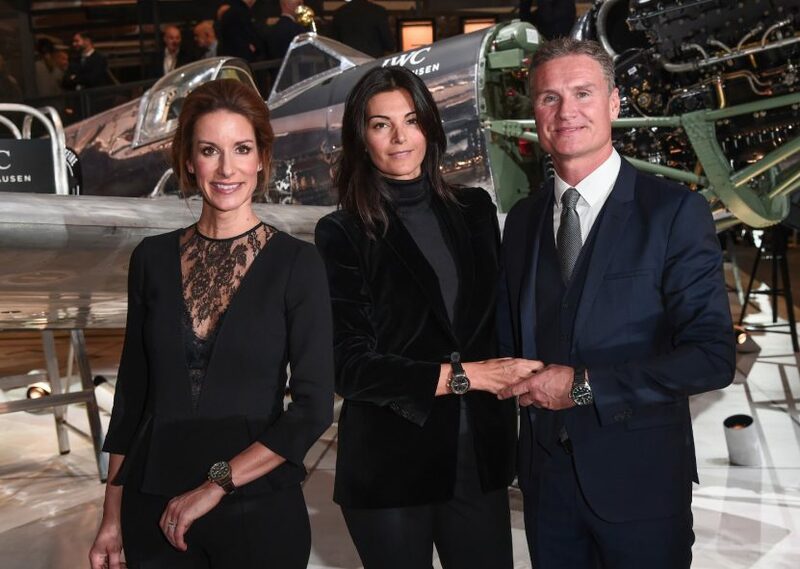 IWC Schaffhausen’s SIHH events are usually among the grandest—it wasn’t that long ago that they took us back to the 1930s with their 2016 gala. 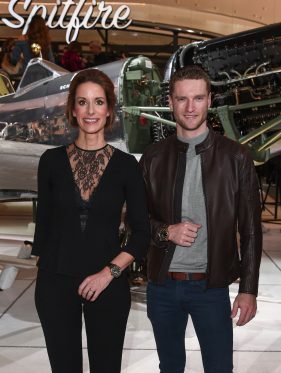 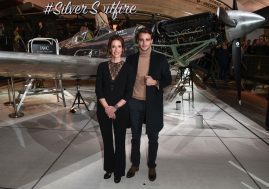 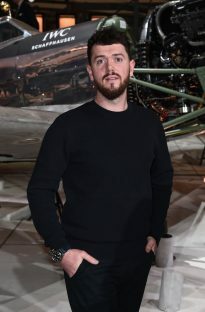 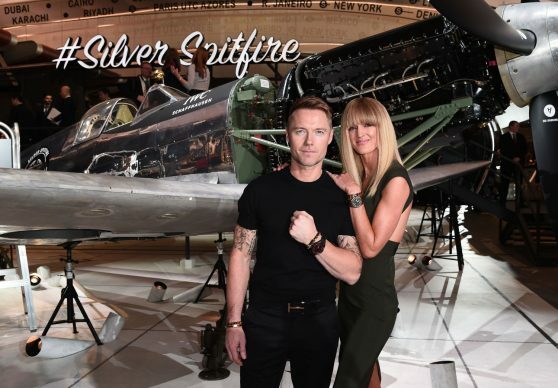 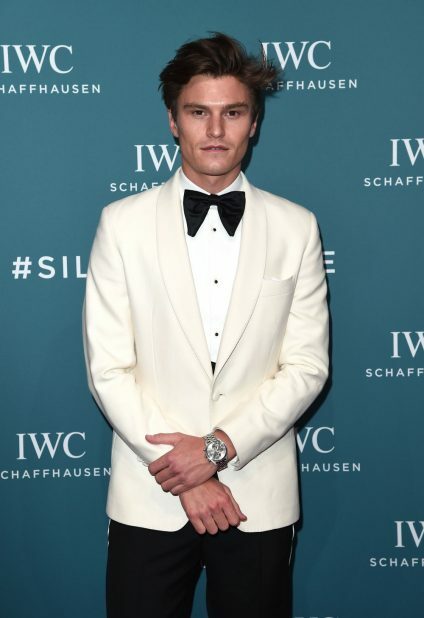 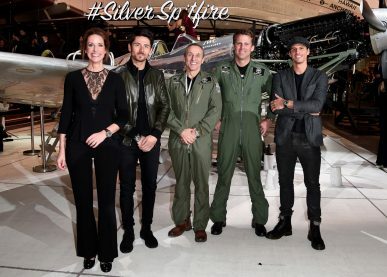 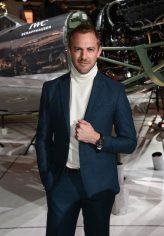 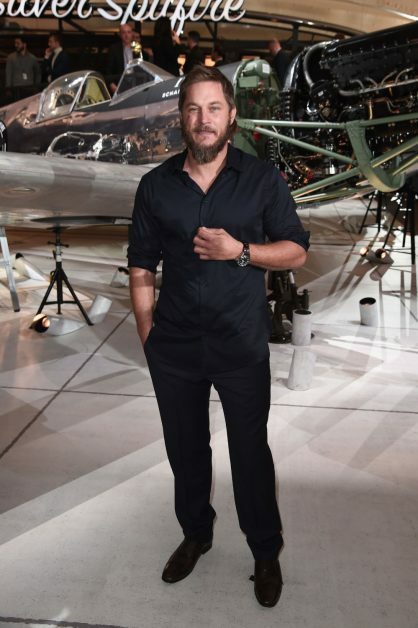 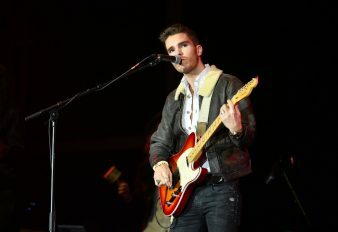 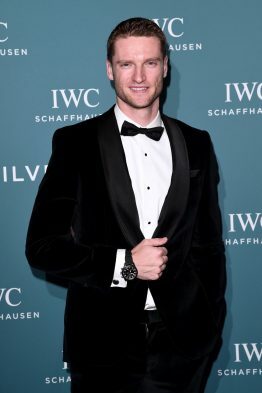 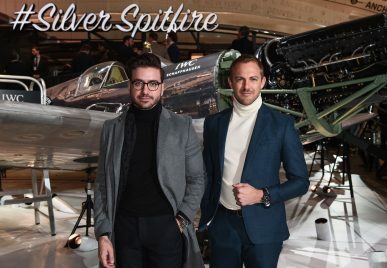 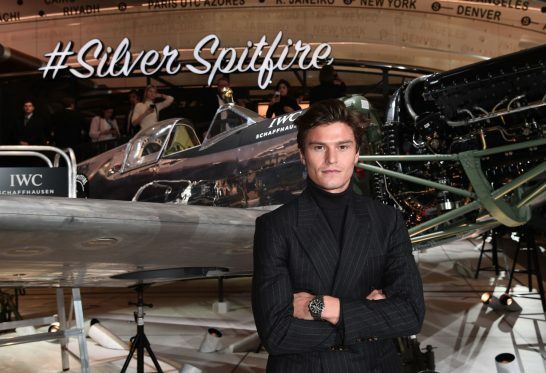 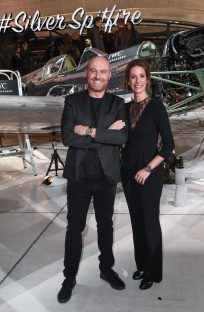 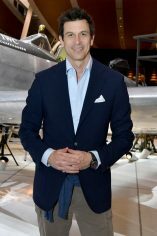 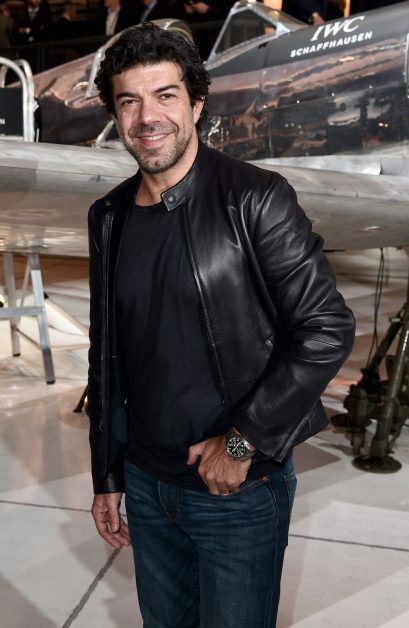 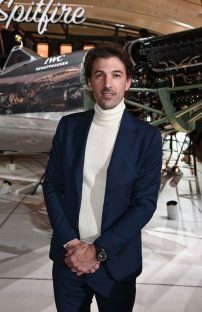 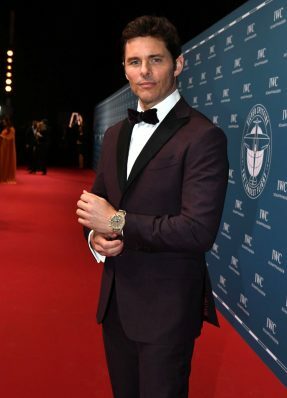 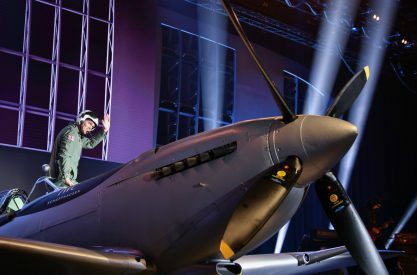 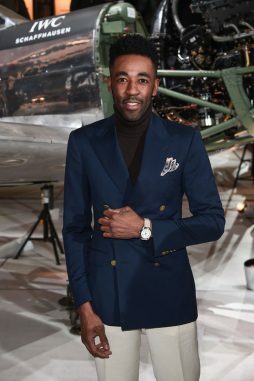 This year, with IWC’s pilots’ watches once again in the limelight, 800 guests not only checked out the new offerings, but witnessed an iconic Spitfire fighter plane from World War II land on-site, piloted by Briton Matt Jones. 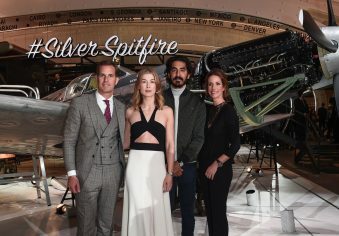 Sonam Kapoor, Adriana Lima, Rosamund Pike, Dev Patel, Karolína Kurková, Negin Mirsalehi, Ronan Keating and Storm Keating, Jochen Mass, Zhang Ruoyun, Ryohei Suzuki, Maria Fagerström, James Marsden, Hend Sabry, Karen Minier and David Coulthard, Lana El Sahely, Nour Arida, Elias El-indari, Guillaume Laffon, Filippo Fiora, Filippo Cirulli, Luca Macellari Palmieri, Ryan Clark, Evelina Kamph, Juan Mata, Fabian Cancellara, Patrick Janelle, Alex Costa, Valtteri Bottas, Travis Fimmel, Oliver Cheshire, Pepe Barroso Silva, Maro Engel, Nenad Mlinarević, Richard Biedul, Rudy Zerbi, Steve Booker, Pierfrancesco Favino, Hayden Cox, Toto Wolff, and pilots Steve Boultbee Brooks, Matt Jones and Yann Sommer were among the guests at the stand at SIHH in Genève, this time designed as an open space. 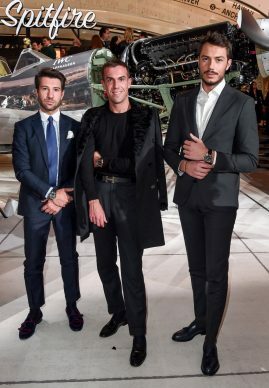 The booth itself was designed to convey the shape of an aeroplane’s wing, emphasizing the idea of flight. 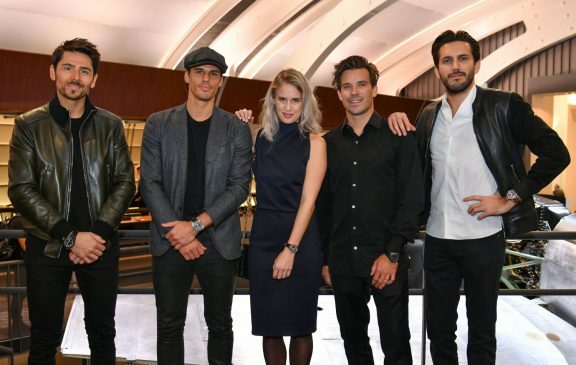 The dinner saw additional guests that we hadn’t spotted during the day: Bradley Cooper, Miss Universe Australia 2015 Monika Radulović and her husband, artist Alesandro Ljubičić, Awal Ashaari and Scha Alyahya, Jokull Juliusson and Telma Fanney Madnusdottir, Andrea Berton and Sandra Vecchi, Alex Riviere, Raya Abirached, Patrick Seabase, Moritz Bleibtreu, Guillaume Laffon, Amanda Nevill, Valtteri Bottas, Chang Chun-ning, Elyas M’Barek, Nick Wooster, Toto Wolff and Susi Wolff. 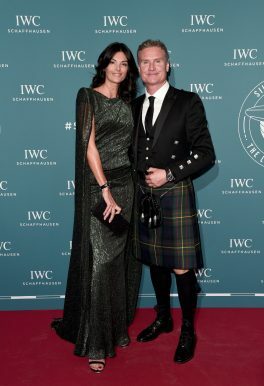 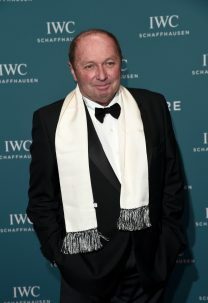 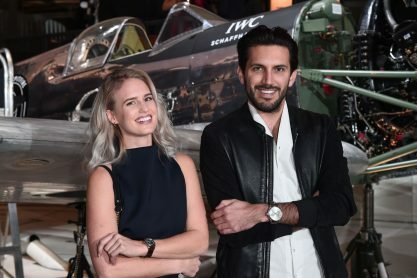 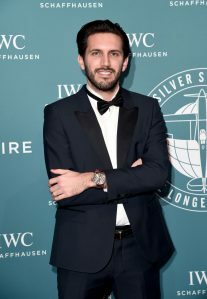 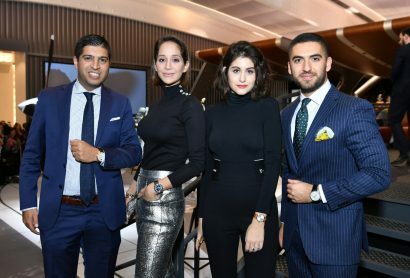 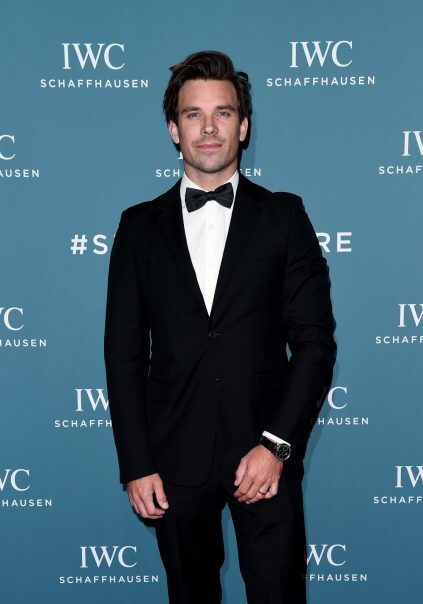 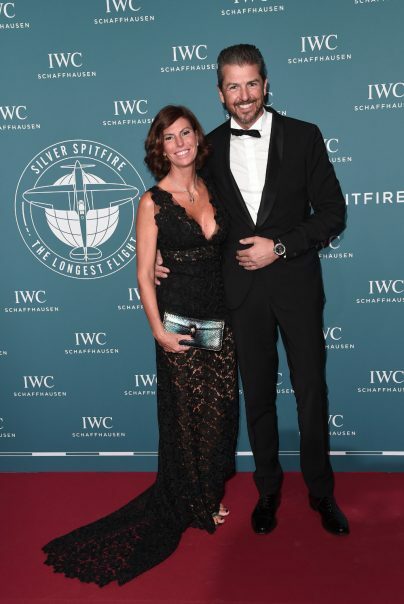 Representing IWC Schaffhausen were CEO Christoph Grainger-Herr, and CMO Franziska Gsell, while Richemont’s Dubai brand director Mehdi Rajan was also spotted. 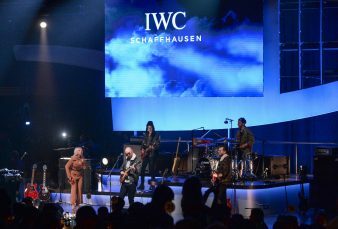 Jökull Júlíusson from the Icelandic quartet Kaleo performed live at the gala, as well as IWC’s house band. 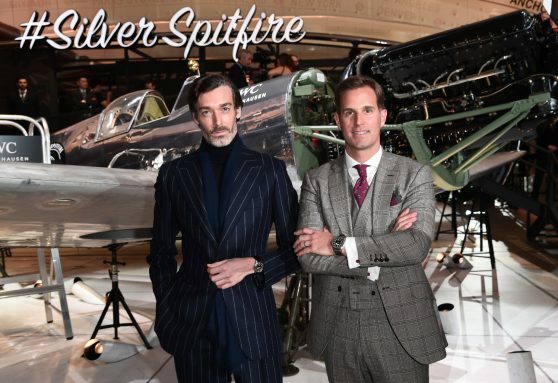 The new arrivals in the IWC Schaffhausen range are Spitfire, Top Gun and Le Petit Prince. 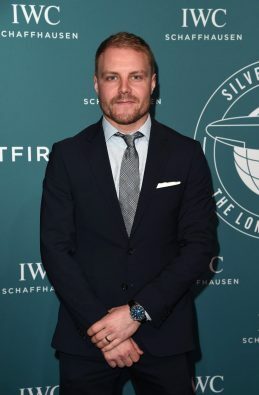 Matt Jones, meanwhile, plans to take a round-the-world trip in the Silver Spitfire, and his journey is being sponsored by IWC. 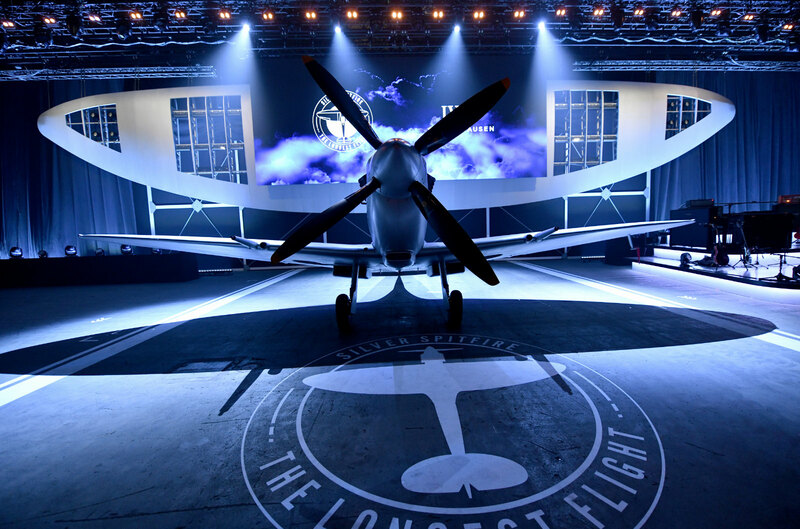 Guests could check out the plane at close range at SIHH.